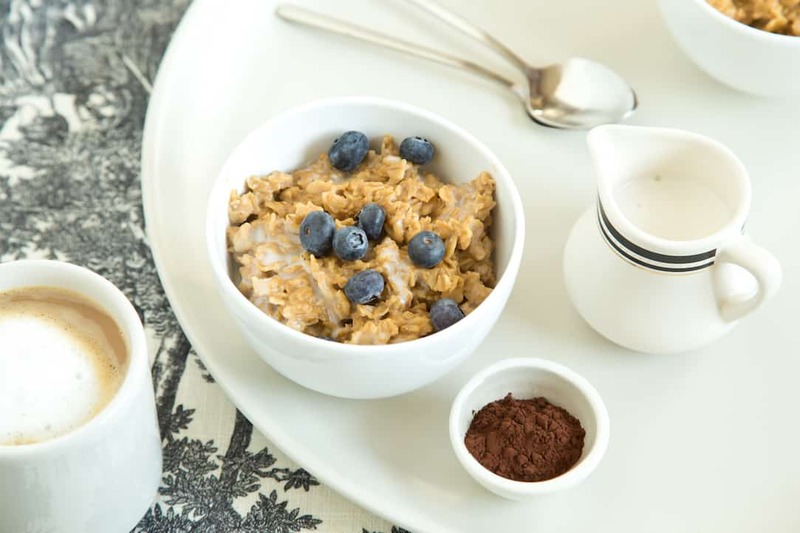 Coffee Oatmeal for the Best of All Breakfast Worlds | Good. Food. Stories. Before coffee I am a monster. No. A MONSTER. A squinty, foul-mouthed, yell-at-the-cat, smash-into-walls-I-swear-were-not-there-before, skewer-you-with-my-words-like-you-are-nothing-to-me monster. The last thing that I am capable of, before coffee, is making a rational decision about what to prepare for a healthy breakfast. Well, okay, maybe not the last thing (picture some calculation that involves trains leaving stations and traveling at different speeds …), but it’s bad, y’all. It’s real bad. Thing is … I love breakfast. I don’t want to skip it or mail it in by just grabbing a granola bar or an apple because I’m too much of a monster to do it right. Solution? A breakfast that 1.) is already made, and 2.) has coffee in it already. Because studies have shown (and if they haven’t actually shown with science then I still know it to be true) that even the smell of coffee can perk us up! Now, on the weekends I’ll go crazy with elaborate breakfasts that I’ll cook leisurely, while listening to Tori Amos and delighting in my autonomy as an adult. On weekdays, though, my hands-down, all-time breakfast winner is oatmeal. It’s easy, it’s quick, it’s filling, it’s healthy, and—though it has something of a reputation for blandness—it is incredibly versatile. And you’ll know, if you’ve read this column with any regularity, that versatile is basically my favorite thing for foods to be. Just like I will wear the same 10 articles of clothing for a season, or listen to Adele’s 21 five times a day for a month, or re-read all of Anne Rice in a row, I go on kicks of wanting to eat the same foods over and over for a while. Then I cycle them out and move on to new ones. It’s just a thing that I do. Given this, though, when I’m on a kick, I need some variation within the consistency. So, I might be eating oatmeal every morning for months, but damn it, it’s different oatmeal every day! Now I know (having Googled it) that I’m by no means the first person to ever add coffee to oatmeal, but for me it happened by accident. I had spooned my delicious, hot oatmeal into my special oatmeal bowl (what, you don’t have a special oatmeal bowl? don’t look at me like that!). I was ready to add blueberries and cinnamon. I was ready to savor my oatmeal and my steaming cup of coffee in a bubble of peace before trudging to work where I might have to speak to humans. And then. NIGHTMARE OF CLUMSINESS (read: me), I knocked my salt box off the counter and the lid came off and salt went everywhere and THE CAT and THE MESS and gah!, I hadn’t even had coffee yet, WHY?! After cleaning up the salt, including the (to be fair, adorable) trail of paw prints my cat left in said salt, my oatmeal was … well, you can imagine. It was a coagulated blob. And because I hadn’t had my coffee yet, I became enraged because my precious oatmeal was ruined and there was no way I had time to remake it, but I hate just pouring cold water into blobby oatmeal. I swear, the consistency is never the same. So I did what I do with most terrible situations: I applied coffee to it. I had my hot coffee sitting right there, so I just dribbled a little bit in and stirred. And … I loved it. It added just a little bite to the oatmeal and gave it a rich earthiness that combined perfectly with oatmeal’s … ya know … oatiness. After that, I was hooked. Coffee was like a gateway ingredient to turning my morning oatmeal into a game. Add coffee and cocoa powder, and it tastes like a mocha. Add coffee, cocoa powder, and peanut butter, and it tastes like peanut butter pie. Add coffee, cinnamon, honey, and raisins, and it tastes like oatmeal cookies. Add coffee, honey, and almond butter, and it tastes like … well, I don’t know but it tastes freaking delicious is what it tastes like. Best of all, if you are a bigger monster than me in the mornings and can’t even be bothered to mindlessly stir at a pot of a few ingredients (ahem, or if you are just in a hurry), you can combine everything in a bowl the night before, chuck it in the fridge, and in the morning your oatmeal will be ready to eat. In the summer, I love this because I can still eat oatmeal even when it’s hot outside. Or if you want the ease of overnight oats but still want your oatmeal hot, you can just take a minute and heat the mixture on the stovetop or in the microwave. I promise, even we monsters can handle dumping oatmeal into the pot and staring blankly at it while it heats up. The possibilities are endless because the only thing you have to remember is the ratio: if you’re going to cook it on the stovetop then you want two parts liquid to one part oats; if you’re going to make overnight oats and eat them cold, you want more like 1.5 parts liquid to one part oats. 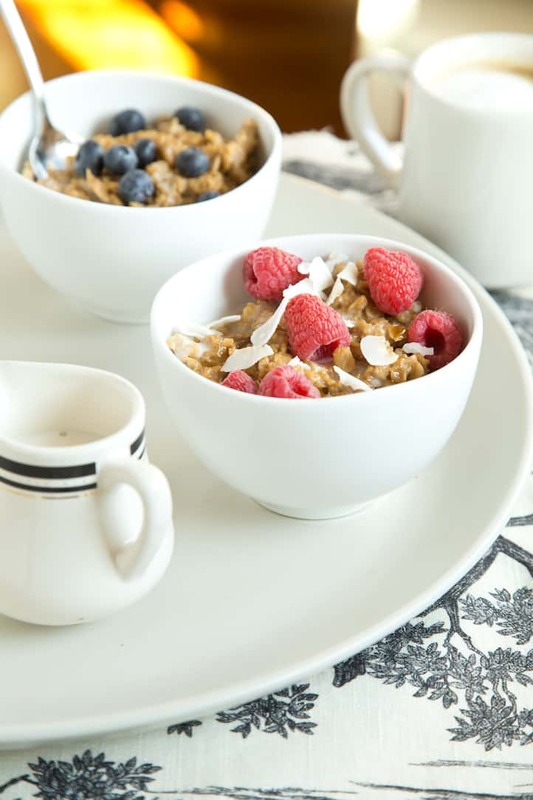 Don’t want to choose between oatmeal and eggs for breakfast? Damn it, this is America and you are an adult: just eat some oatmeal while you cook your eggs! Want oatmeal cookies for dessert but don’t have any? Drizzle honey or sprinkle brown sugar over some of the overnight coffee oatmeal conveniently living in your refrigerator and it basically tastes the same. You’re welcome! Coffee and oatmeal? The breakfast gods have spoken. And they have said: Oh. Hell. Yes. 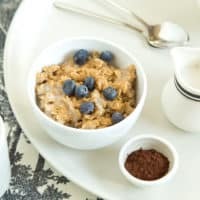 Coffee oatmeal combines the best of all breakfast worlds, adding rich flavor to a morning meal and blending well with nuts, cocoa, fruit, or other mix-ins. Add the oats, milk, coffee, and salt to a small (1-quart) saucepan and cover. Bring to a simmer over medium heat, stirring occasionally until the oatmeal thickens, about 5 minutes. Add more milk or water as needed until the oats are tender and at your desired consistency. Stir in the honey or maple syrup and vanilla during the last minute of cooking. Remove from the heat and enjoy immediately or add more mix-ins–my favorites are below. 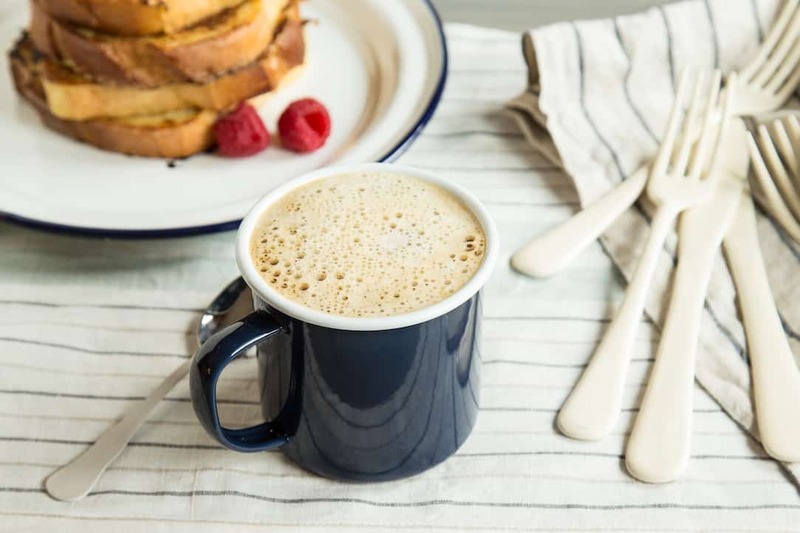 If you don’t plan to heat up your oatmeal in the morning (which cooks off some of the liquid), decrease your milk to 1/2 cup and your coffee by a tablespoon or so. Combine all ingredients and place in refrigerator overnight. I like to use a small Pyrex dish with a lid because I can eat right out of it in the morning (one fewer dish to wash, hey?). This method also works with steel-cut oats–even better, because you don’t have to spend 30 minutes waiting for them to simmer and soften on the stove. You wake up and they’re already ready for you! And if you’re going to do overnight oats, why not do what I do and keep a jar of iced coffee in your refrigerator at all times. Really, if you’re not already doing this it will change your life. Pour them into a jar every day for two weeks and you will thank me when you wake up hung over on Saturday morning and realize with despair that you are out of coffee and the world is ending, because, Oh wait! It isn’t, because you have two full cups of coffee in your refrigerator. 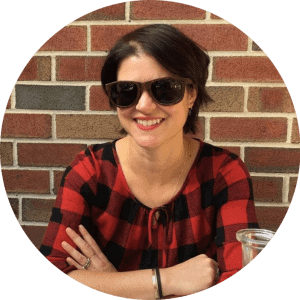 Rebecca Peters-Golden is a writer, freelance copy editor, and recipe tester living in Philadelphia. She likes cat paws, wax museums, and watching karaoke. Once, she won a chili cookoff.